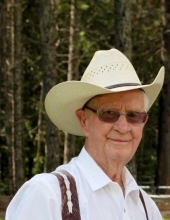 Henry RC Ford (88), or “Toby” as he was fondly known, passed away unexpectedly on March 30th, 2019 in Otis Orchards, Washington. Henry was born in Mena Arkansas, the youngest of 11 children born to Andrew J. Ford and Mary E. (Jones) Ford, on January 23rd, 1931. He married Eva M. Smith on September 21st, 1951. After sons Gary (1952) and Terry (1953) were born the family moved to Washington. They settled into their current residence in Otis Orchards in 1955 and later had daughter Cherie (1958). Henry was a farmer but held many jobs over the years. He worked as a logger, at the paper mill, and retired from East Valley School District as a bus driver. After retirement he and his wife gardened, became camp hosts, joined the Model A Club and participated in many parades. Henry was a fixture in the Otis Orchards community for years and will be sorely missed by all who knew him. Henry was preceded in death by his wife Eva Ford (2013), son Gary Ford (2003) and daughter Cherie Murch (2018). He is survived by his son Terry Ford (ID), grandchildren Katie Nicholls (WA), Sean Ford (WA), Kristy Ford Ondrey (FL), Chantele Murch (WA), Kim Ford (WA) and 7 great grandchildren. A memorial celebrating Henry’s life will be held on April 20th, 2019 at 11:00 am at Otis Orchards Community Church, located at 23304 E Wellesley Ave. in Otis Orchards. A reception will follow in the Church Annex. To send flowers or a remembrance gift to the family of Henry RC Ford, please visit our Tribute Store. "Email Address" would like to share the life celebration of Henry RC Ford. Click on the "link" to go to share a favorite memory or leave a condolence message for the family.